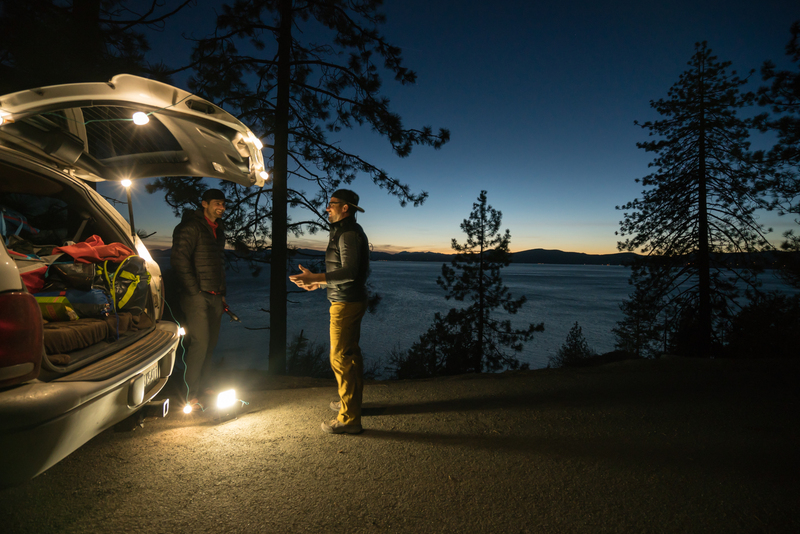 This guest post comes to you from BioLite ambassador, Scott Kranz. 12 days. 7 states. 3500 miles on the road. The trip idea was aggressive, if not a little crazy. But we knew it would be anything but boring. For too long I wanted to tackle a classic American road trip across the Western United States. It’s one thing to fly in and out of a destination for some limited time in the mountains or the desert. 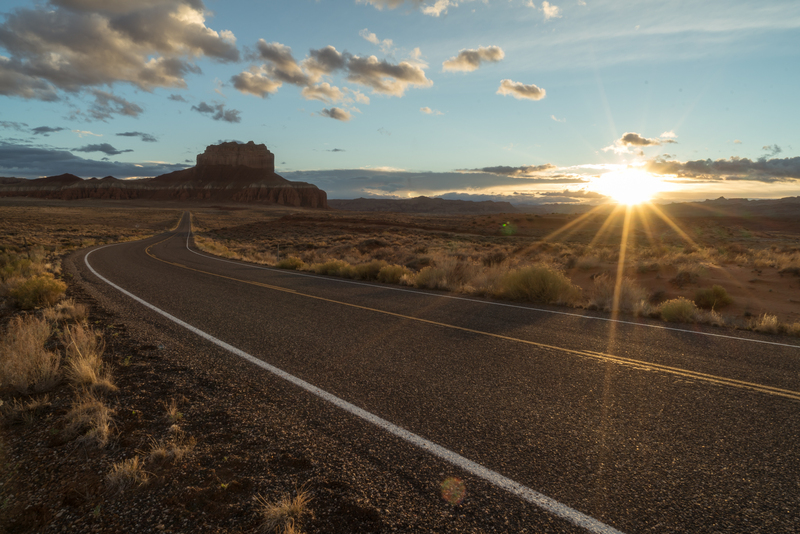 But nothing can replace the sense of freedom and adventure you find on the open road, nor the chance to experience all of the natural diversity of the West in a single trip. Along the way, we planned join to some of our closest friends and find our adventures (or let our adventures find us) from day to day. Overall, the plan was to fly by the seat of our pants and to embrace the unknown. The journey began on familiar terrain, as we drove eastward through the Cascades and into the sprawling fields of central Washington. We were well equipped for countless hours on the road. We had cell phones with weeks’ worth of music, podcasts, and audiobooks; grocery bags loaded with snacks and roadside meals; and plenty of off-grid energy stored in my BioLite gear to keep cameras and other technology charged and ready. In this roundup, I’ve pulled together 8 of my favorite moments from the trip. 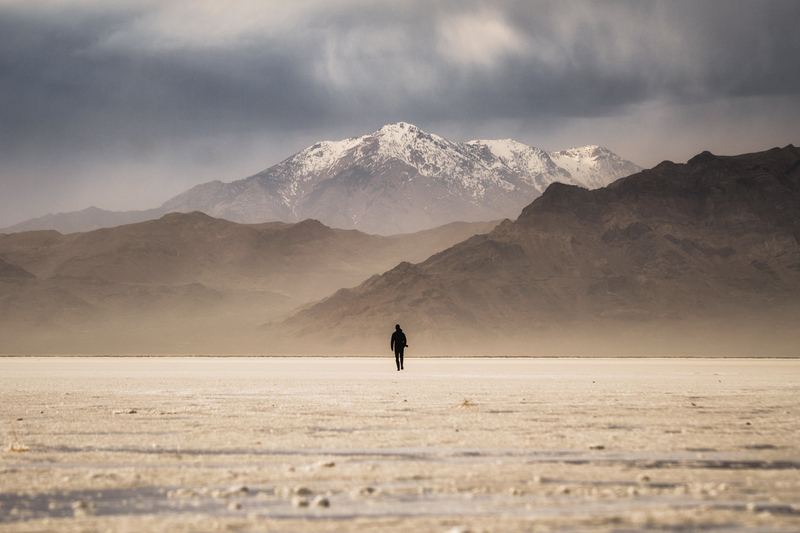 Experiencing A Passing Storm In The Bonneville Salt Flats, Utah. Veering southeast, we passed through the corners of Oregon and Idaho and eventually reached Utah, where we’d spend most of the week. Pulling into the northwest corner of the beehive state, we arrived at the Bonneville Salt Flats before sunset. We stepped out and looked up to see a desert storm passing overhead. Before this visit, I had not experienced the salt flats, and the dramatic weather made for an awesome first experience. Watching the Sunset In Southern Utah. We took in the Moab area's many desert wonders, from arches and canyons, to mesas and hoodoos, we experienced it all from the road and trail. 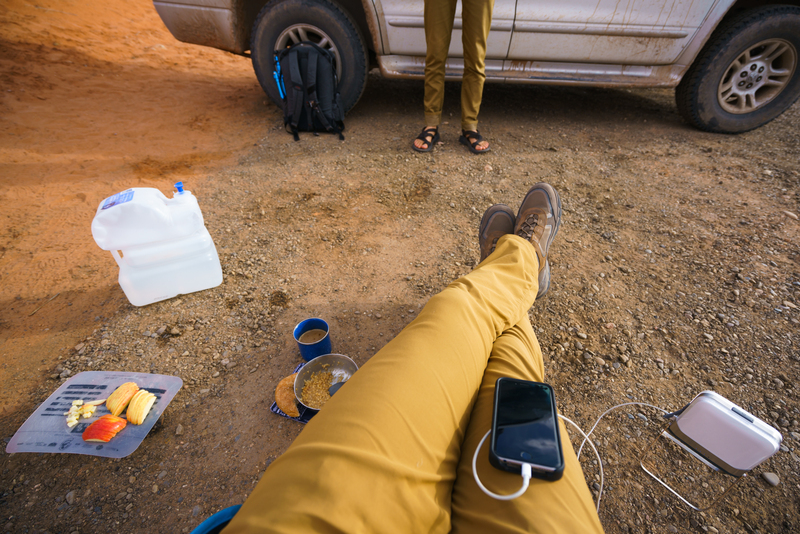 Between iconic sunrises and backroad sunsets, we stayed caffeinated and charged up (courtesy of my BioLite gear). We were ready for anything we’d find down the road. In Southern Utah, we joined forces with my wife, Jill, and our friend, Amanda, the runners of the group, who were gearing up for their 30k and 50k races through the Moab desert (good news to report, Jill and Amanda both finished their races by large margins ahead of their goal times). Checking A Few Items Off My Bucket List. 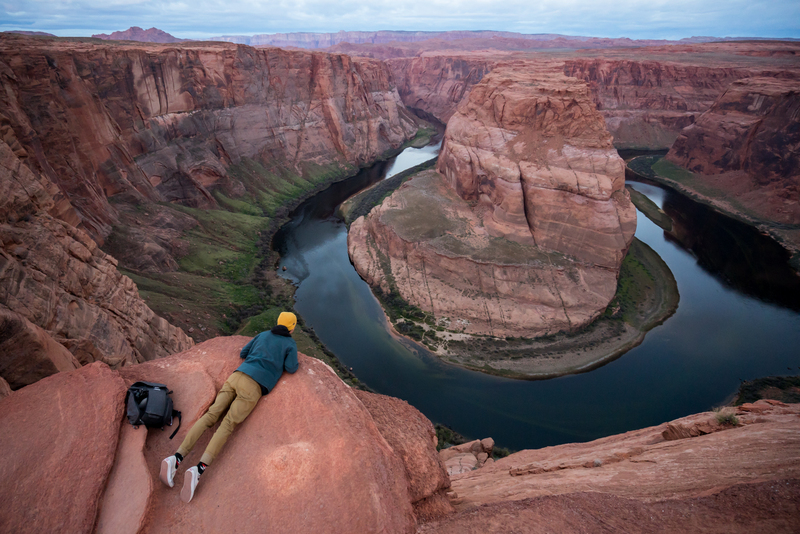 After southern Utah, we drove south to northern Arizona and stopped at Monument Valley and Horseshoe Bend (pictured above) to take in the breathtaking views. These stops have been on my bucket list for years and for good reason. Staying Charged Off The Grid With The BaseLantern XL. We were driving constantly and chances to stop near an outlet were few and far between. It was great to have the BaseLantern XL along with us to keep our gear charged while driving or at pitstops. This gear allowed us to stayed powered as we circled back into the southwest corner of Utah for some more sightseeing, and then head west through Las Vegas into southern California, to begin the long last leg of the trip. Before we knew it, we pulled into Death Valley in the middle of the night. 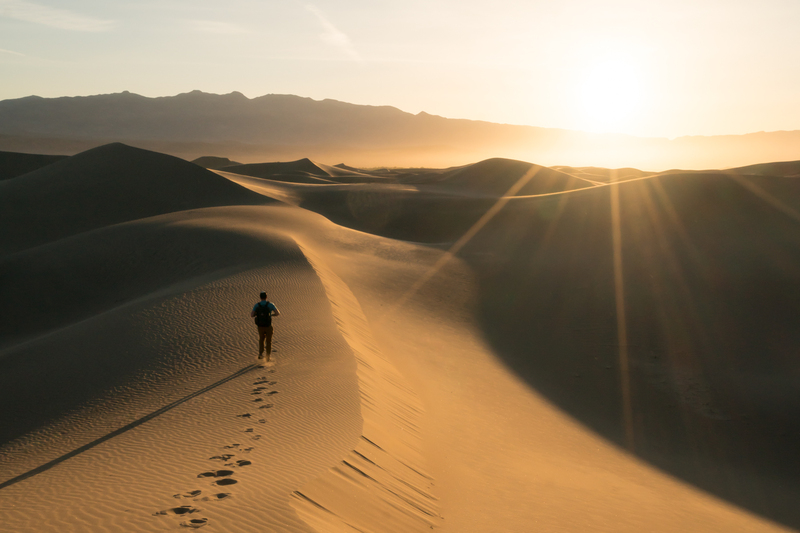 Walking Towards Sunrise in Death Valley. After too little sleep and an early start, we walked into a landscape of wind-swept sand dunes for the trip’s first California sunrise. Despite strong winds and airborne sand flying in what seemed like every direction, we took in the vast layers of dunes as the sun rose over the eastern horizon. After our Death Valley sunrise, we continued on, heading north. Despite one close call of a near-empty gas tank, we eventually reached the Lake Tahoe area. Roadside Talks in Lake Tahoe. After eating, sleeping, and driving in the desert for so many days, the beautiful, blue waters of Tahoe were truly a sight to see. Sitting on smooth rocks along the shore, we enjoyed a classic Tahoe sunset. We were fully absorbed in the moment, despite knowing we had only a few more days on the road. The trip’s end was in sight, a bittersweet thought. After catching up on some much-needed sleep in the Tahoe area, we drove into northern California, hunting for some trees. One overnight of torrential rainfall in a near-abandoned campground later, we woke, shook off our tent, and drove into the mighty Redwoods, age-old giants that had our necks tilted back all morning. 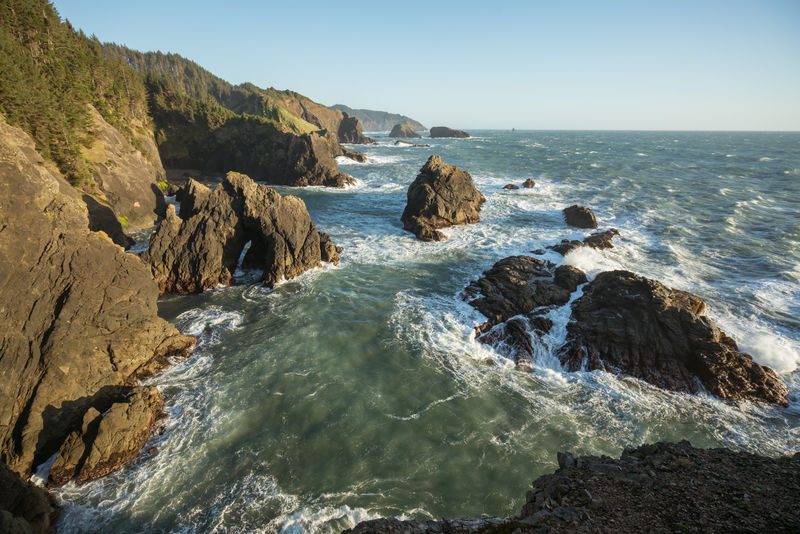 Driving North Up The Oregon Coast. We eventually hopped another state border, reaching the southwest corner of Oregon. The vast Pacific Ocean was a welcome sight, to say the least. We explored the on- and off-shore rock formations scattered along the coastline, despite some of the strongest winds I had ever experienced. We took in what we could until sunset, and called it a day. 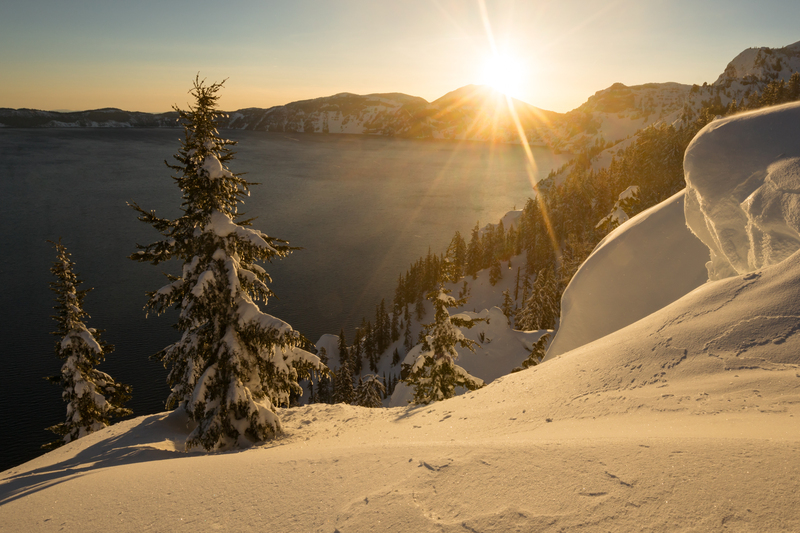 First Light At Crater Lake. For our final adventure, we drove from the Oregon coast throughout the night and arrived at the one and only Crater Lake before daybreak. Stepping out of the car, we felt the first freezing temperatures of the trip. The chill made clear that the warmth we had enjoyed in the Southwest deserts was a far cry away. Marching through knee-deep snow up to the edge of the crater rim, we caught our first glimpse of the deepest lake in the country, in its entirety. Minutes later, the sun peaked over the eastern rim, and illuminated the opposite rim in golden light. The beauty of the scene was jaw-dropping. As the morning spectacle unfolded, I happened to reflect and was struck by the huge diversity of experiences we had just encountered over the last week and a half. From arid deserts to rainy forests, from windy coastlines to snowy mountain tops – it felt like we experienced it all. We left Crater Lake, and headed north one last time, ready to complete the full circle of driving and return home to Seattle with smiles on our faces. As it turned out, my classic American road trip across the West far exceeded my expectations. There is so much to see right here in our own “backyard,” and I believe it’s best experienced as part of a big road trip, unrestricted by airport proximity and rental cars. Do you agree? If so, what are you waiting for? Step out your front door, hit the road, and open yourself to what you might find down the open road.